Dr. Paul Stonum was born and raised in rural West Central Missouri. He received his BS in Animal Science at Texas Tech University in 1989. He then received his DVM from the University of Missouri - Columbia in 1994. After graduation, Dr. Stonum spent 10 years as a mixed animal associate veterinarian in central Texas before starting his own mixed animal practice in Northwest Missouri in 2003. 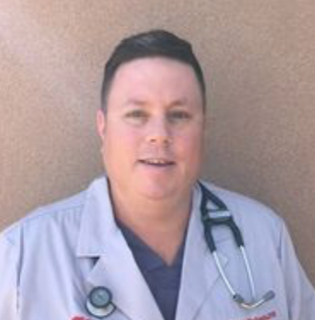 In 2013, he returned to Lubbock, and when he is not helping to provide care at the Small Animal Emergency Clinic, he is the Clinical Veterinarian for Texas Tech. In that role, he is responsible for the care of all of the teaching and research animals, as well as the Texas Tech Mascot. Dr. Armin Trenton Hohrein or “Dr. Trent” was born in Spanish Fork, Utah in 1977. He graduated from Bingham High School in South Jordan, Utah in 1995. He attended College of Eastern Utah and Utah State University for his undergraduate education and Colorado State for His Veterinary degree. After graduating from Colorado State in 2005, he moved to Lubbock, Texas and practiced small animal and emergency medicine for 11 years. In Lubbock he met his wife Jennifer through mutual friends and have two children Wyatt and BreeLynn. Dr Trent spent some time in Abilene, Texas and Utah before finally deciding to call Lubbock Home. Outside of work he enjoys the outdoors, attending and watching football games, Fly tying, Photography, spending time with his wife, kids and German short haired pointer Holden.